​This quick reference on pediatric infectious diseases of the ear, nose, and throat provides reliable assistance in decision-making and management. To this end, numerous diagnostic and treatment algorithms are included. Practicing pediatricians, primary care practitioners, and otolaryngologists will all find the book to be an invaluable aid. 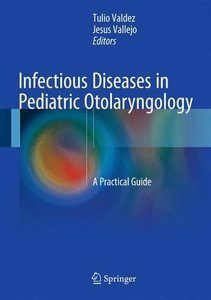 This book helps the otolaryngologist who is uncertain of the best antibiotic or duration of treatment for a particular condition and instructs the pediatrician on when to refer to an otolaryngologist for surgical management. The approach is multidisciplinary, with contributions from both pediatric otolaryngologists and pediatric infectious disease physicians.